to provide ventilation for all sizes of industrial blast facilities. Units are of simple, modular design and are easy to install, operate, and maintain. 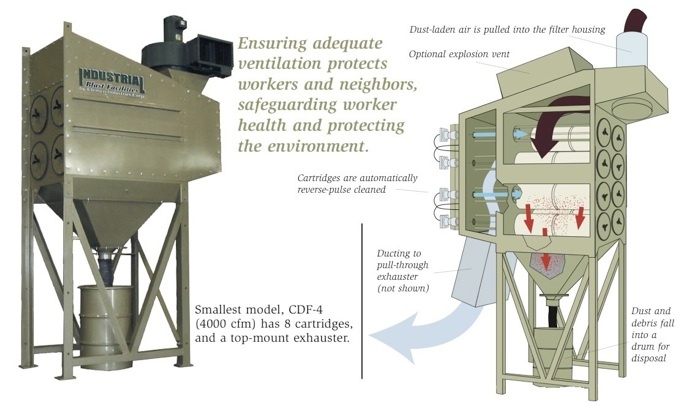 CDF dust collectors ventilate blast room enclosures, providing room air changes for visibility and engineered solutions for controlling respiratory protection exposure limits to dust.